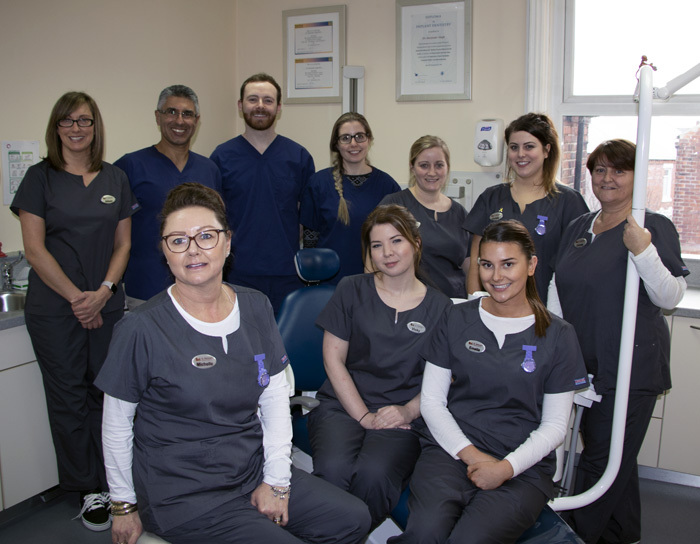 We are a highly trusted and long established dental practice in South Shields providing excellent dental care in a relaxed and friendly manner. We offer the very latest dentistry techniques and deliver both quality NHS and cosmetic dentistry to meet the needs of our patients. Our latest offer at St. Michael's Dental Practice: TEETH WHITENING for £225. At the time of your examination it is often easy to forget subjects you wished to discuss with the dentist. So contact us today to make an appointment about your concerns. You can fill in the form on our Appointments page to allow us to address your needs as fully as possible. If you have a Dental emergency outside of normal hours an out of hours emergency service is provided . Please ring 111, where an advisor will help you with your Dental concern. Great service! I have been attending this dentist since I was a child. The service is second to none the staff are very professional and very welcoming. The dentist I see and assistant are very friendly going that extra mile to make you feel at ease and explaining everything to you as they go along. Keep up the good work everyone. Was very wary after a bad experience elsewhere. But St Michaels has has been fantastic, staff are great and put you right at ease. A really positive experience a year ago. Really great lovely dentist! Just had my first ever fillings and all of the staff and my dentist where so nice and patient with me even when I was freaking out about needles ect. Would definitely recommend. Excellent practice! From start to finish I have received excellent care on a professional level from this practice .All members of staff have been lovely and polite and caring. I would have no hesitation in recommending this practice. Always pleasant- efficient service both reception and surgery. I have been with the practice nearly a year now and I have had the best dental treatment I have ever received. I am so glad I found this practice. From the moment I came in everyone was fantastic. I found the surgery being run very efficiently and I am very pleased with my treatments, appointments, care and advice given at all times. Keep up the good work! Excellent service to the public ALL round! Very friendly and professional and most importantly "Caring and non-judgemental". Always a pleasure to visit "ST Michaels" as an "NHS" out patient. I think this dentist is really good, I've had Mr. Singh since I was a babby and I think he is the best – thanks a lot. To all the tooth fairies who gave me a new smile – Thanks for everything! What a pleasure to visit such a helpful friendly practice , would recommend your practice as it's the best I've ever been too thanks. Absolutely brilliant! First class service – best I've ever experienced. Thirty years plus at the same practice … Says a lot!! Excellent service – means excellent teeth!